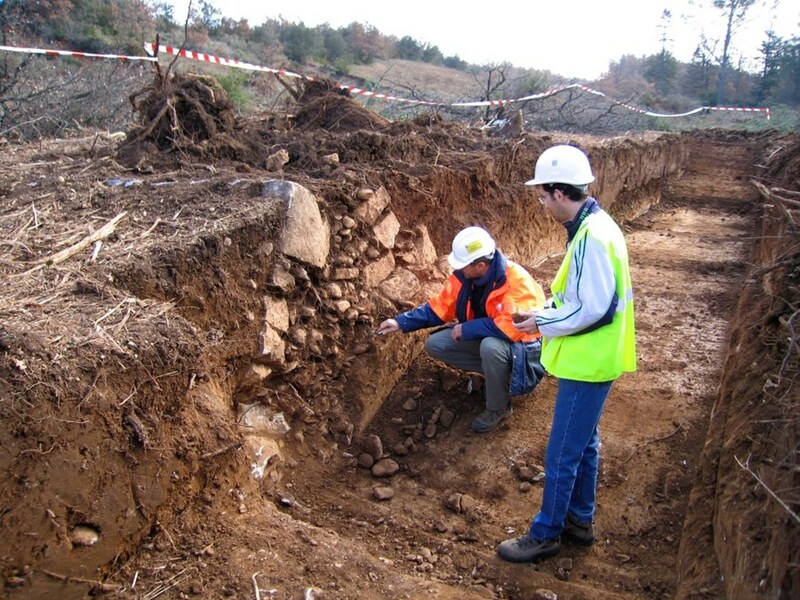 On 29 January 2007, ten years ago almost to the day, preparation work began on the large stretch of national forest that was to host the ITER site. 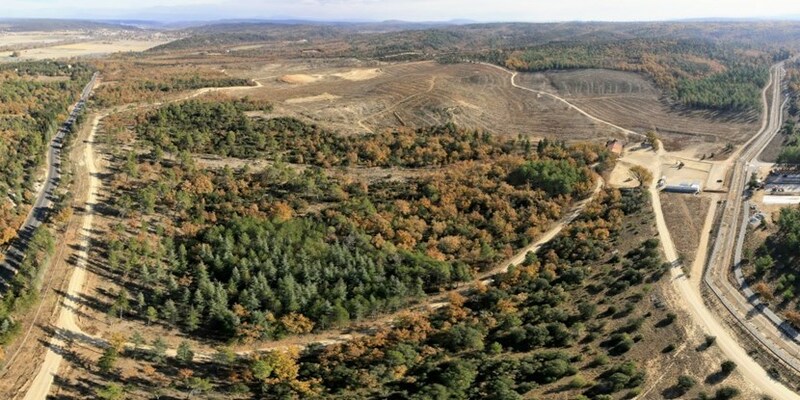 Taken in the early spring of 2007, this aerial view of the ITER site (looking northeast) shows the vast expanse of land that has already been cleared. Part of France's commitment to the ITER Project, the works were performed under the responsibility of Agence Iter France, an agency of the French Commissariat à l'énergie atomique (CEA) that had been established three months earlier. France was to deliver a perfectly flat platform and some cleared areas to accommodate buildings, parking spaces, roads, etc. Of the 180 hectares made available by France, half were to be equipped, the other half left untouched. To create a level, 42-hectare platform for the scientific installation, about half of the surface needed to be excavated and the other half filled. In total, over a period of less than two years, more than 3 million cubic metres of rock and soil were moved—equivalent in volume to the Cheops pyramid. In the course of their investigations, archaeologists were to identify a small necropolis dating from the 5th to 7th century AD. But before letting in the chainsaws, scrapers and earth-moving equipment, a few delicate and important tasks needed to be performed: scores of "remarkable trees" were identified for preservation; specific measures were implemented to protect some of the native species (beetles, bats, etc.) that made the forest their home and—in conformity with French regulations—archaeologists began digging in search of buried structures and artefacts. By April, the area was cleared and ready for the spectacular levelling works that were finalized in the spring of 2009. Click here to view a drone flyover of the ITER construction site, ten years after the early preparation works began.